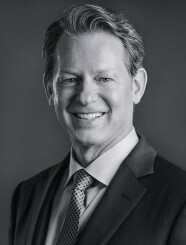 Terry K. Johnson has over 30 years of experience as a business leader, both as a successful entrepreneur and corporate executive, with an extensive background in mergers and acquisitions. Mr. Johnson spent 20 years in the automotive industry, building and leading his company Johnson Industries through hyper growth and change, reaching annual revenues of $300 million. Johnson Industries was recognized by Fortune Magazine as one of the foremost leading U.S. companies in organizational culture, and in retaining and motivating associates. Johnson Industries was acquired by a Fortune 200 NYSE public company in 1999. Mr. Johnson served as President/CEO of this public company subsidiary for 5 years, with revenues more than doubling in this time period. Mr. Johnson has successfully acquired or sold over a dozen companies in multiple industries, with transaction experience both domestically and internationally. Working in both the private and public sector, he has a unique understanding of M&A complexities and how to integrate win-win deal structure strategies for both buyers and sellers. As a proven entrepreneur and business executive, Mr. Johnson understands the critical importance of having a clear exit strategy to monetize all the years of hard work. He is uniquely equipped to assist business owner's in maximizing their once in a lifetime opportunity, determining the appropriate strategies necessary for a successful exit and prosperous monetization of their business. Mr. Johnson earned his Bachelor of Science in Organization Management from the Business School at Auburn University. His passion is in proving out in demonstrable fashion that the intersection of business, purpose and profit, is an achievable and powerful combination.